Everglade Windows has just added a second Emmegi Quadra cutting and machining centre to its already impressive manufacturing set up. 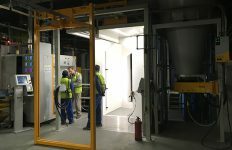 The London based company is using the new 12 axis machine to step up the manufacturing capacity for its aluminium windows and doors, and give itself scope for even further expansion in the future. Everglade bought its original Quadra L1 way back in 2012 and it continues to perform so well that the same machine was the obvious choice when it was looking to invest again to meet consistently increasing demand. 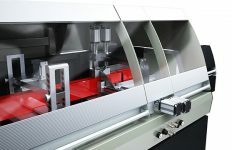 Emmegi’s flagship Quadra L1 can cut, machine and transom notch all in one operation. 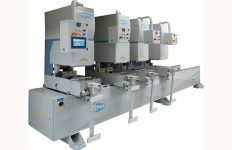 It machines profiles continuously in 360° without the need to reposition, turn the bar over, or process more than once; and also offers market leading tolerances, with the machine automatically adjusting for different profile sizes and even different systems. 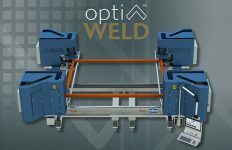 Fabricators can typically prepare aluminium profiles using a Quadra up to three times faster than with a conventional machining centre, yet with only minimal manual input required. 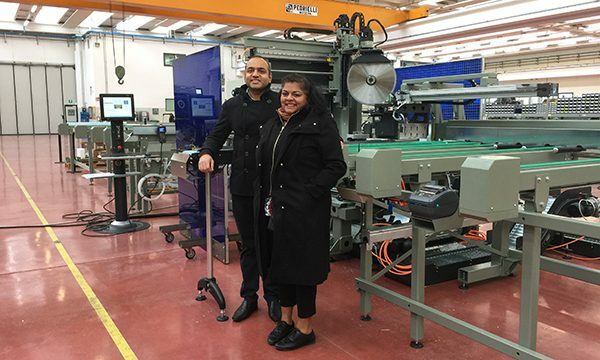 Yogesh added: “Emmegi worked closely with us all the way along to understand what we needed to achieve with this second Quadra, and even adapted the delivery and installation times to ensure that it was a smooth process which didn’t disrupt the rest of our operations.